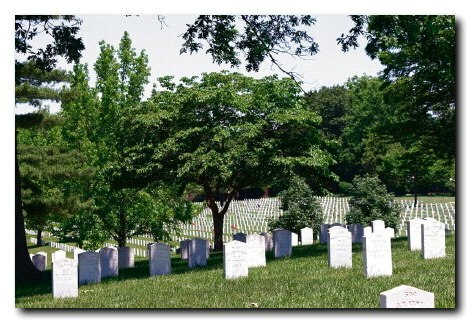 Confederate graves, Camp Butler National Cemetery, Springfield, Illinois, 2006. Robert Lawton. Creative Commons license. In easy peace the soldiers sleep. Past groves of aromatic pines. And lie in silence with their friends. No longer interests those below.